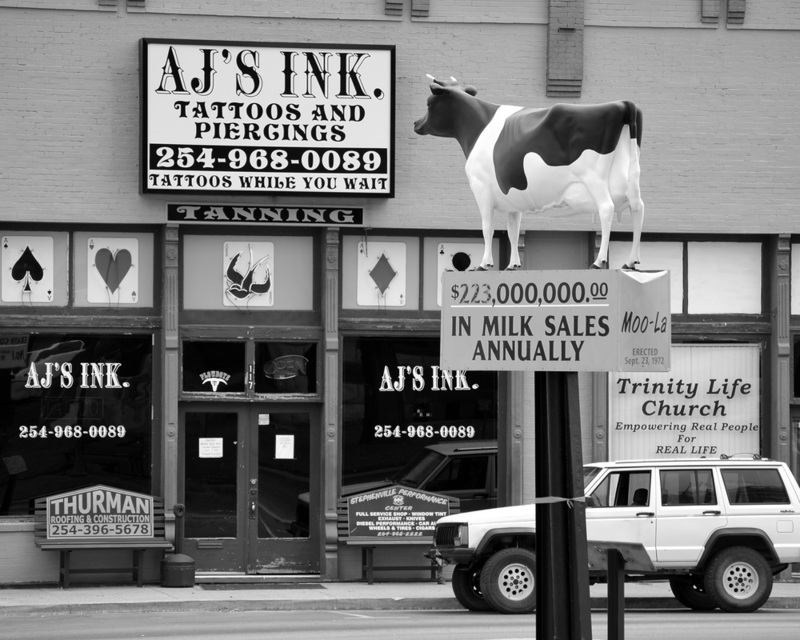 "The county comprises 1,983 square miles and is divided into two distinct regions. 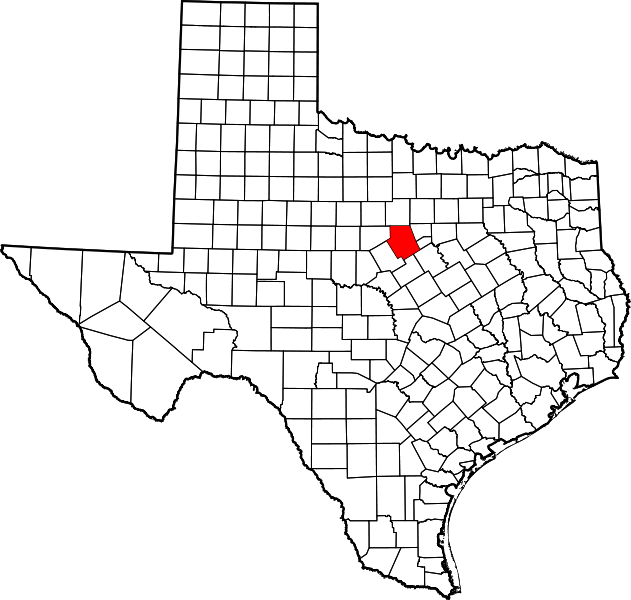 The county's altitude ranges from 900 to 1,750 feet. "The first attempts at settlement were made in 1854 by A. H. Dobkins and Will and Tom Holland near the site of present-day Dublin. In the following year a party of thirty pioneers was brought into the area by surveyors George Erath and Neil McLennan. Included in the group were John M. Stephen, his brother William F., and a black family. The Stephens moved to the 4,409 acres of the John Blair survey, and the black family may have been left alone in the post oak grove on the Bosque River, now the site of Stephenville, to establish relations with Caddo and Anadarko Indians, who still visited the area from their new reservation in what is now Young County. 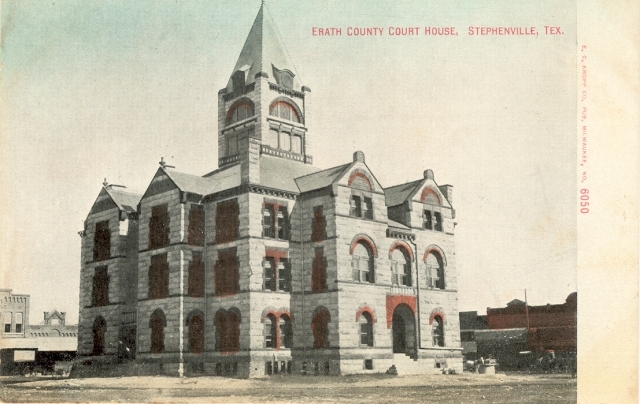 In 1856 John M. Stephen offered to donate land for a courthouse and town site if the town was named Stephenville and made the county seat. 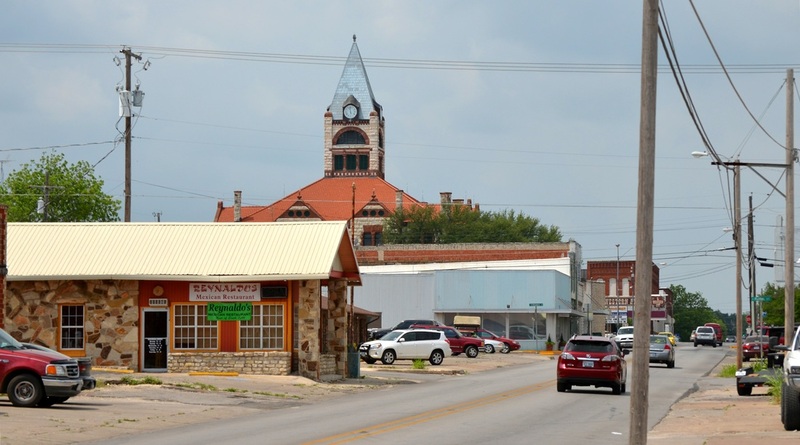 The state of Texas agreed and formed Erath County that year." 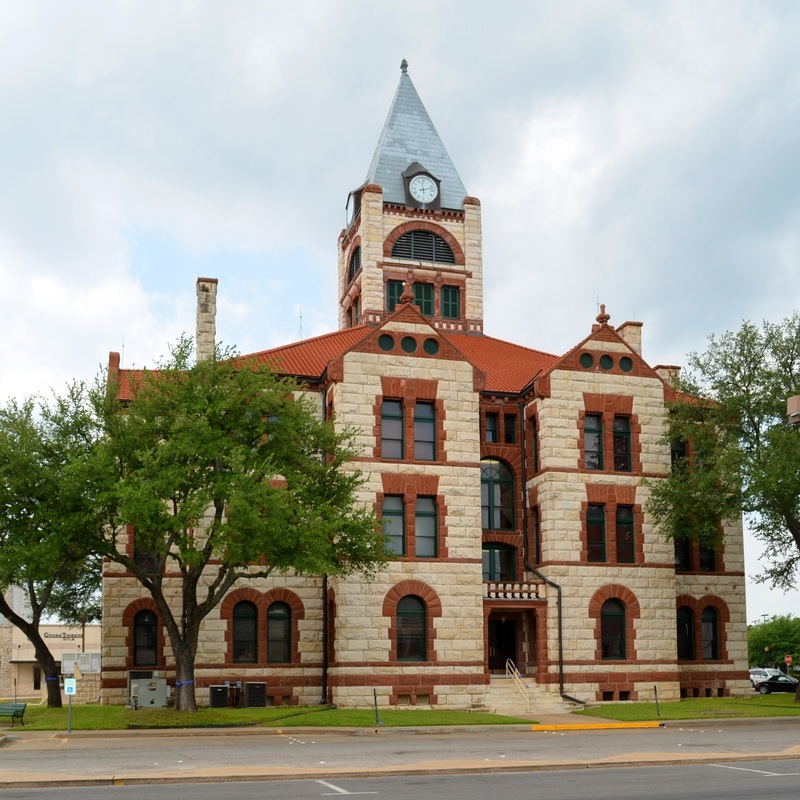 I visited Erath County and photographed the courthouse in Stephenville on Sunday, April 29, 2012. 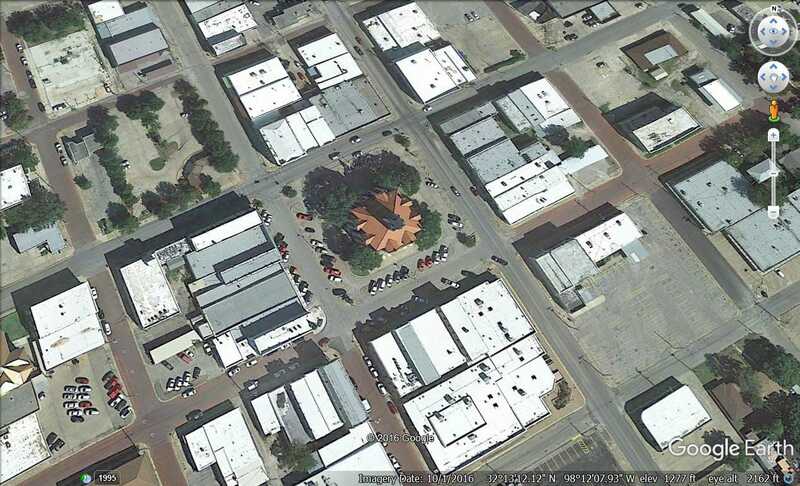 "An outstanding example of Romanesque Revival design, the structure possesses considerable architectural significance. 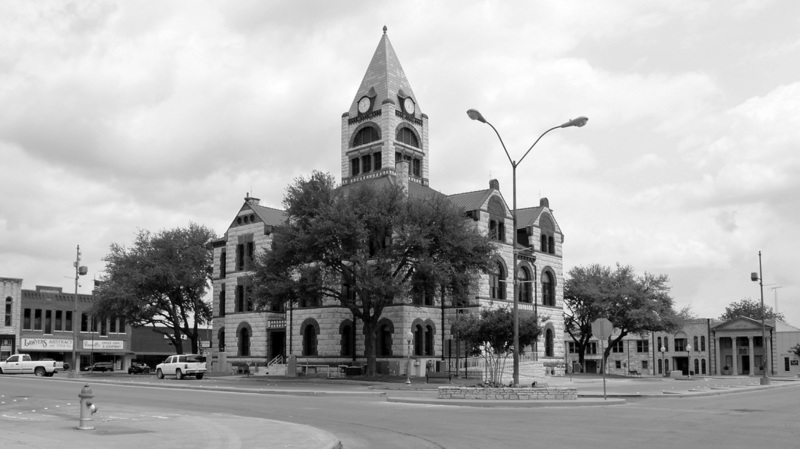 A picturesque com-position, it is among the many fine courthouses designed by J. Riely Gordon and represents the first phase in a three-step evolution of the traditional courthouse from a plan type based on a square with crossing corridors, to a plan type with a central open court, and finally to a plan in cruciform configuration with a central air shaft and masonry tower replacing the court of the second phase. 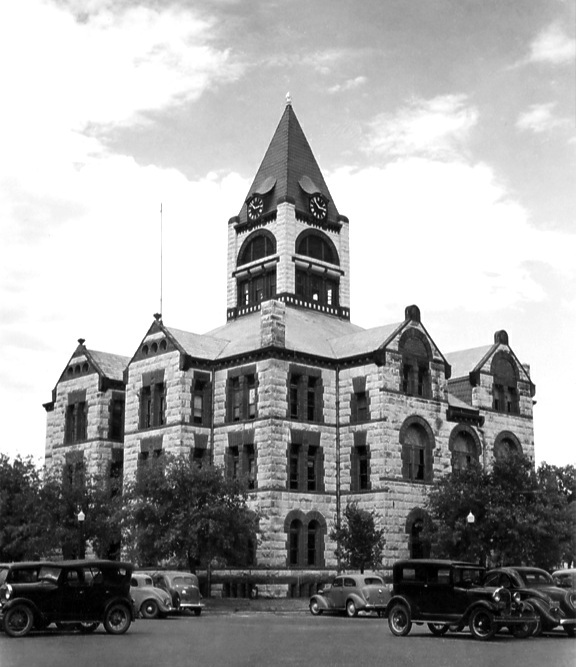 As such, it has regional architectural significance and should be included among a group of county courthouses in Texas that represents Gordon's creative approach to the evolution of a unique courthouse plan. 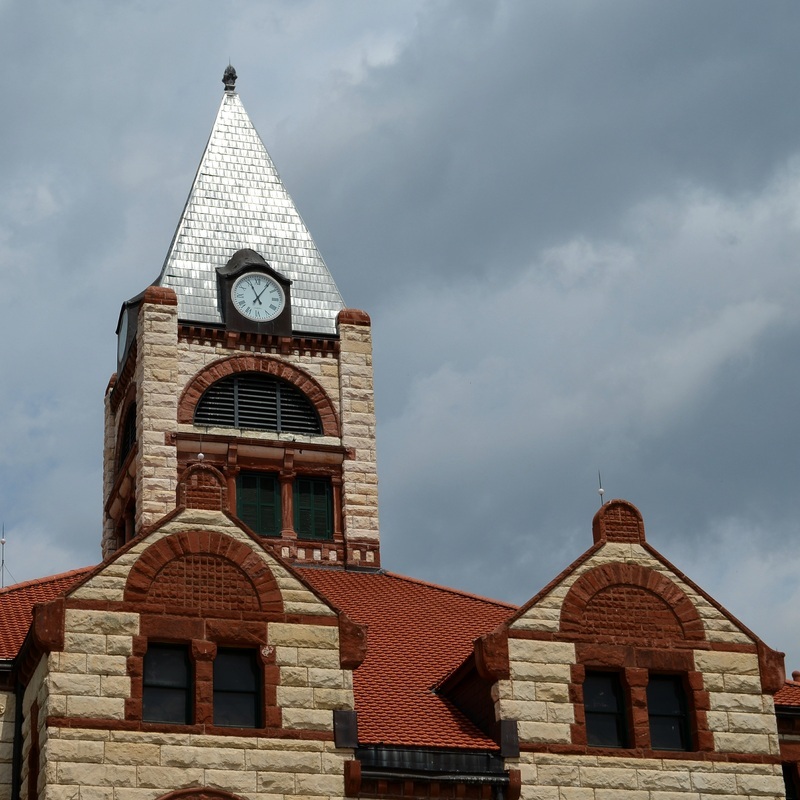 "On June 14, 1891, the Fort Worth Daily Gazette reported that the Earth County Commissioners' Court was prepared to receive bids for the con-struction of a new courthouse. 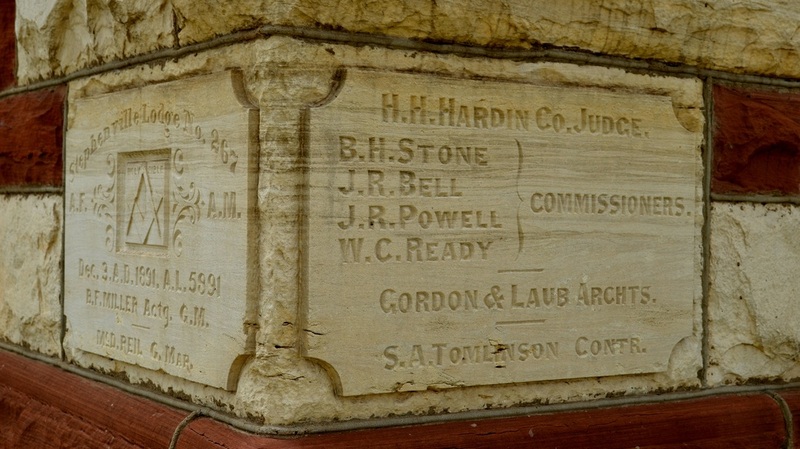 In the meantime, however, action on the matter was delayed pending the outcome of an election on the question of moving the county seat to Dublin. 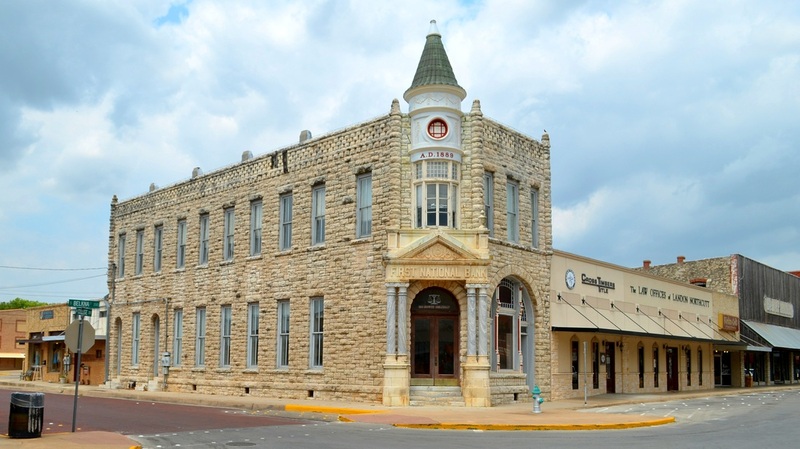 When the vote determined that the county seat would remain in Stephenville the Commissioners awarded the contract for construction of the county seat to architects J. Riely Gordon and D.E. 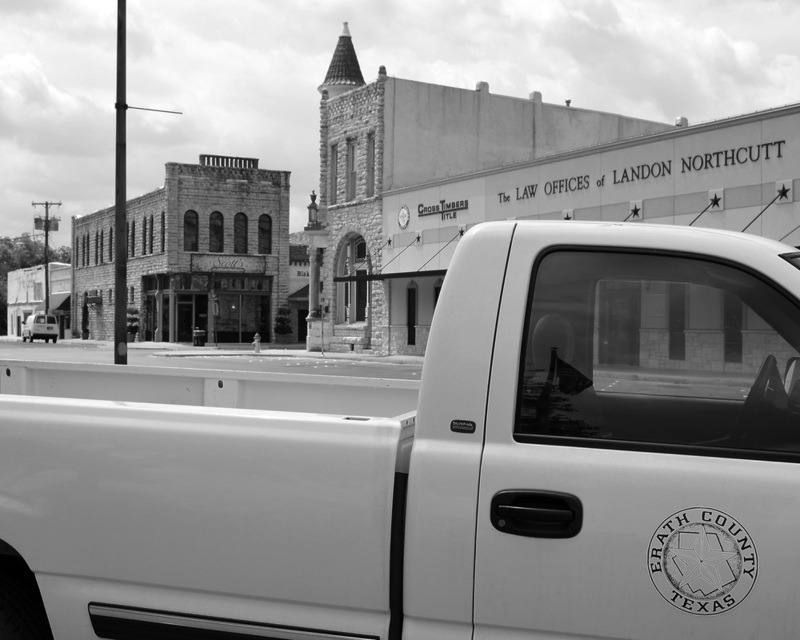 Laub and contractor S.A. Tomlinson of Fort Worth. 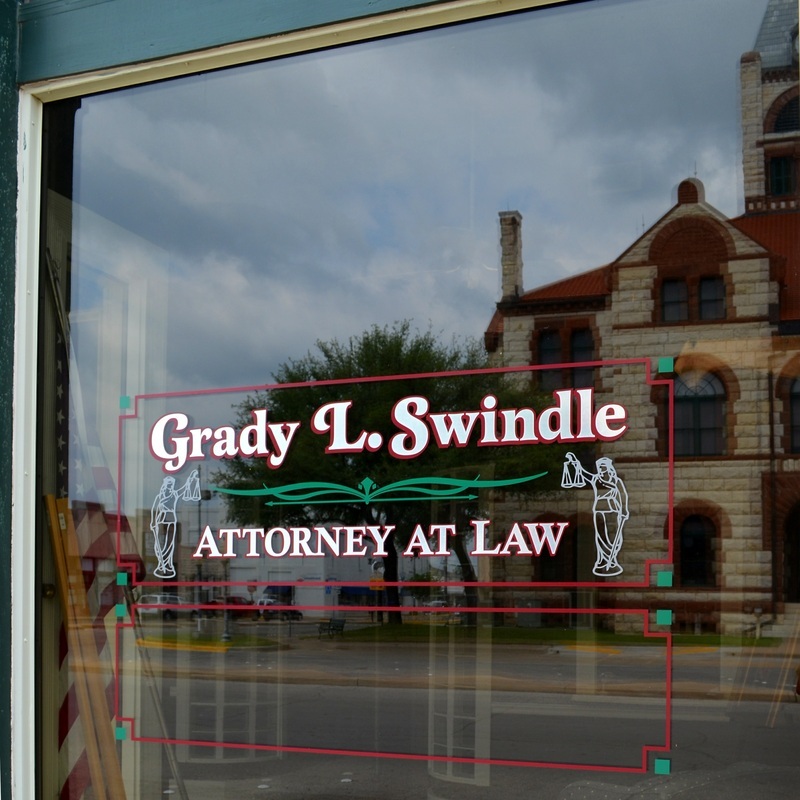 "The concept of the floor plan is similar to many Texas courthouses, although the perimeter, with its rhythm of recessed planes and projecting pavilions appears only in the work of J. Riely Gordon. On the first level, intersecting corridors divide the floor into four quadrants containing offices for the treasurer, county clerk, tax assessor, and county judge. 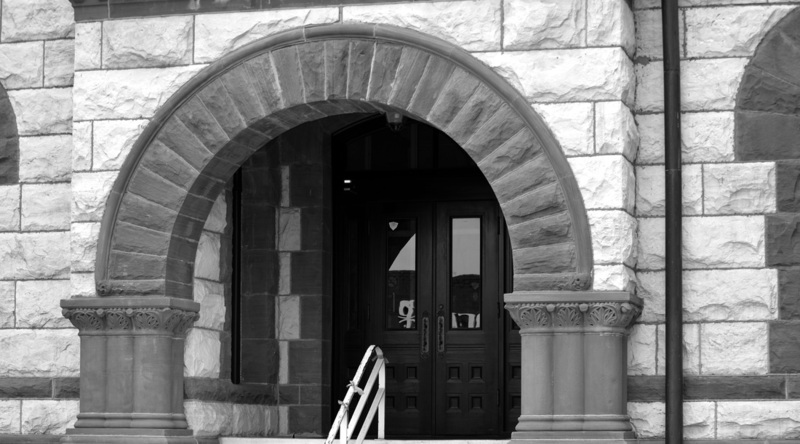 Stairways at the east and west vestibules lead to the second story containing district courtroom and offices. On the third level are additional offices. 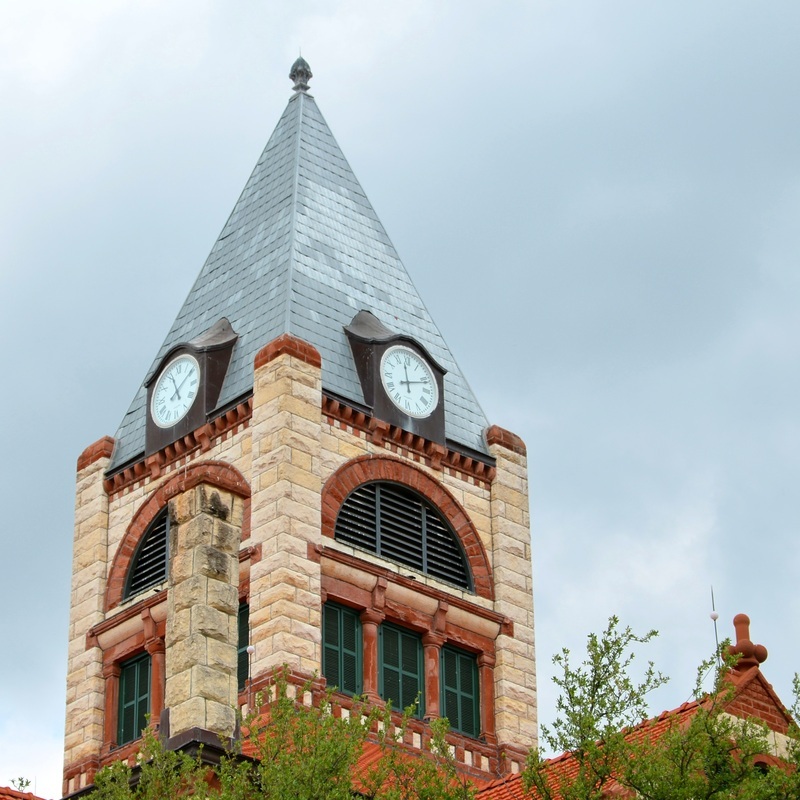 "The building experienced sandstone deterioration and water infiltration. The grant funded project included replacing the inappropriate metal windows, repairing/replacing deteriorated sandstone and restoring significant inferior public spaces. It was completed in August 2002." 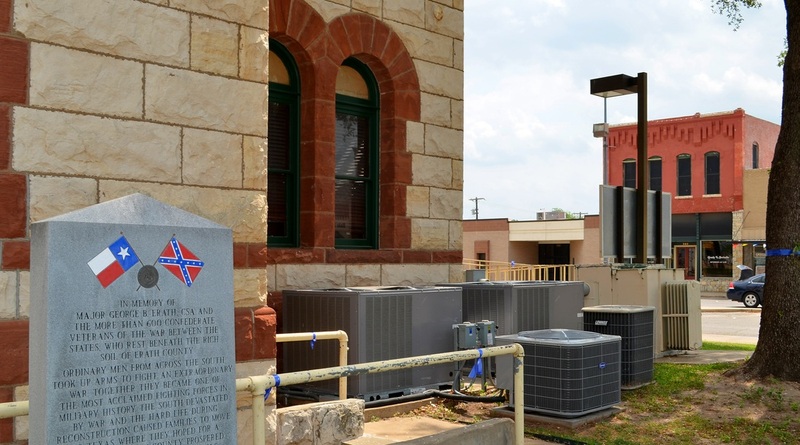 The architect for the restoration was Norman Alston Architects, of Dallas.